Part 1: Do Robo-advisors actually provide advice? As soon as one of the most well-known “Robo” advisors announced that they were conceding the fight to the humans — by hiring an army of advisors — it was a clear signal that the crack in the armor for Robos has turned into a chasm. With higher fees of 0.4%, and minimum AUM requirements of $100,000, the Robo-advisor model is increasingly looking like a human advisory model, with an automated portfolio. Robo-advisors have been fairly innovative in some respects. For instance, they ensure a very smooth online onboarding experience- particularly for an industry stuck in 1970s technologies and 1940s regulations. The challenge for Robos has been to fully capitalize on this innovation, to build and innovate further and provide a new level of scalable insight and depth of service. With automation, this would have been easy to build, which could provide and translate more complex investment choices, highly customized to personal needs. On this they have unequivocally failed. The combination of these three factors have resulted in weak product adoption, and higher customer acquisition costs, leaving consumers with the perception that technology won’t be able to be the “game changer” in finance that it has been in other notable areas like communications, entertainment and transportation. This is not the correct conclusion to draw. If the three (admittedly difficult) problems identified above are solved, the enthusiasm by which consumers will embrace technology for financial advice, will change. 1) What is advice? Despite the moniker, a Robo “advisor” doesn’t actually dispense advice. They take down a few broad-brush parameters- like the age and income of the client- and from there presume to know what sort of investments they should make. You don’t need to have much knowledge of finance to realize that two people who are the same age with the same income could have wildly different investment needs- maybe one is riddled with debt while the other has none, maybe one is married with 5 kids and lives in Manhattan, while the other is single and lives in Oklahoma, maybe one owns a home and the other rents…and on and on and on. The point is that without truly understanding the circumstances of the client’s financial situation in a holistic way, it is impossible to actually give advice. 2) What is good advice? I think of “good advice” as something that someone who cares about you — like your grandmother- would give you. If you are a parent, you know that sometimes the best thing you can do for your child is to say “no” when they ask for something. Likewise, as a financial advisor, you should tell a potential client “no” when they ask for investment advice if, in fact, they shouldn’t be in the markets. There are plenty of people who should put more money in a savings account- to be ready when the car breaks down or an unexpected lay-off at work happens- not in risky investments. As has been well documented, the Federal Reserve surveyed more than 5,000 people and found that about 46% said they didn’t have enough money to cover a $400 emergency expense. If that is the case, you should not be in the markets. Your mother would tell you that, but I have never heard of a Robo advisor declining to take an investors money- even if they should. 3) What is fiduciary advice? There has been so much debate on this topic on the regulatory front, but at the heart of it, fiduciary advice is telling someone what is in their best interest, even if it isn’t good for the person dispensing advice. That would encompass both the “holistic” aspect of being capable of giving advice that actually fits the needs of the client, as well as the saying “no” when you should turn away a client. It is also more than that- It is having no conflicts of interest (not getting paid to push one product over another), it is not charging fees when the investment will never cover the cost (note that even a $1/month charge- which sounds really low for managing investment assets- is high if the portfolio will never earn more than that amount), and it is never having hidden fees. The fiduciary advice that a client should be receiving should be completely tailored and unique to that client, and always in their best interest. Advisors, Robo or human, who disclaim this responsibility in the fine print of their legal agreements, will not remain in business in the long run. Eventually both the clients and the regulatory environment will catch up with them, but what might the damage be to investors in the short run? So why have people used Robo advisors? a) It seems inexpensive- but the wrong advice will end up costing a lot. b) It seems more convenient- you can be online at any hour of the day or night, unlike working with a human advisor where you need to make an appointment. c) A lot of people don’t qualify for using a human advisor (because they don’t have enough money to manage), and many Robo’s have no minimum asset requirements. d) A lot of people find the idea of talking to a human advisor somewhere on the appealing scale between talking to a used car salesman and getting a root canal. So, what is the answer? It is not to hire more human advisors, as is being done by those Robos who are struggling with their current model. That will result in higher costs and a lack of scalability. There is also one often overlooked and potentially more serious issue with this “hybrid” model. Having a human “advisor” available to answer questions presupposes that the client knows what the right questions are to ask. 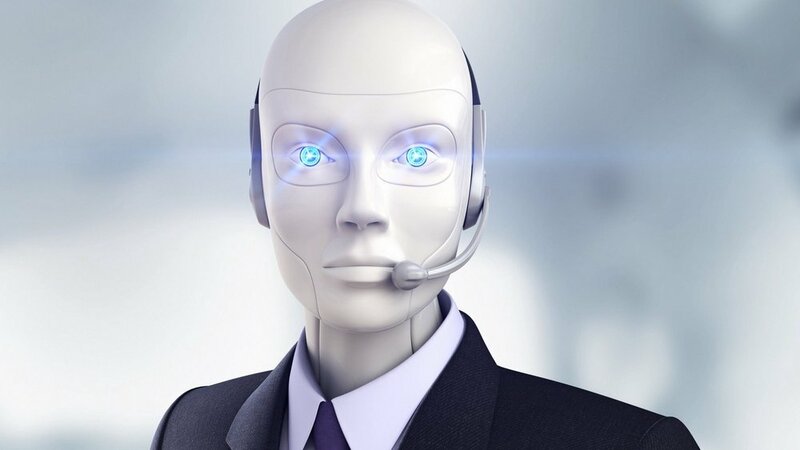 Because the human “advisors” hired by Robos provide a voice on the phone, it feels more like “advice”- but the reality is that they still don’t have the ability to understand each client holistically and individually (their tools haven’t changed), and they are relying on the client having enough savvy to be able to come armed with the right questions. The analysis really hasn’t improved beyond the “Robo” and hence the advice is neither good nor fiduciary. A Robo is somewhat analogous to an online doctor who asks for your height, weight and age and comes back with a diagnosis of chicken pox- you should be very suspicious of whether this is sound medicine indeed! A hybrid Robo is like being able to then call the doctor, which would allow you to ask him what you should do about the pain in your chest- but since the doctor can’t see that you have been stabbed, and you neglected to mention it, they prescribe heart medicine. You expect your doctor to examine you thoroughly-you wouldn’t gamble on your health by accepting advice based on incomplete information, and you shouldn’t gamble on your finances that way either. Because of this, the Robo-advising community needs to re-think what really helps consumers and innovate in that direction. The current version of Robo-advice has a bleak future.